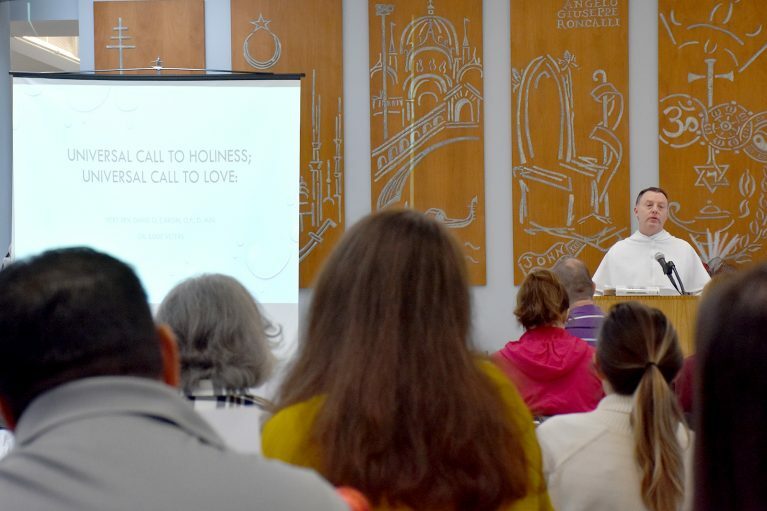 Universal Call to Holiness: Universal Call to Love was the theme at the January personnel retreat. Facilitators were Very Rev. David G. Caron, O.P., D. Min., the Vicar of Evangelization for the Archdiocese of New Orleans and Dr. Susie Veters, D. Min., CPA, Director of Stewardship and Parish Services with The Catholic Foundation, Archdiocese of New Orleans. The path to holiness is not solely through a vocational life as a sister or priest. 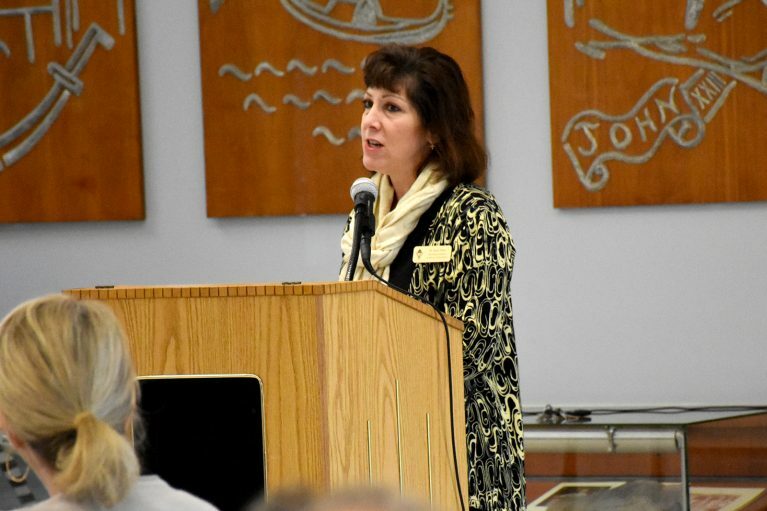 “I think that many people have not considered true holiness as attainable for everyday Catholics, but instead reserved for those ordained or in religious life,” said Dr. Veters. She has observed that hearing that we are all called to holiness and that holiness is attainable in the ordinary circumstances of life can be an enlightening moment for many. During one of several breakout sessions, personnel took the Gallup StrengthsFinder assessment that identifies a person’s unique sequence of 34 themes of talent. The assessment has 177 sentence pairs that have to be answered within an hour. Some of the duos are opposites, some are similar, and others have no apparent relationship. A total of 34 characteristics are highlighted through one’s selection of the sentence that most closely reflects the person’s thoughts, feelings, or behaviors. Participants received a report on their top five strength characteristics. Results were shared and discussed. The StrengthsFinder program has been presented by the Catholic Foundation to parish administrative staff, Archdiocesan ministries and Archdiocesan departments. Dominican is the first school participant.